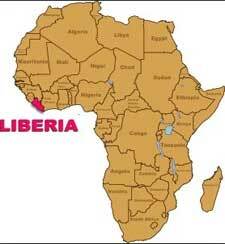 Liberia, officially the “Republic of Liberia” is a country on the West African Coast. The country is known for its palm beaches, culture, traditions and ethics. Bordering countries of Liberia include Guinea towards the North, Sierra Leone towards the West and Ivory Coast towards the east. The Atlantic Ocean lies towards its South. The country has a long history of the struggle for independence, colonial rules, forced slavery, military coups, and political instability. Furthermore, the country is a founding member of the United Nations (UN) and is a member of the African Union and the African Development Bank. The area of modern Liberia was known as the “Pepper Coast” by the European traders. It is estimated that the first people settled in the area around the 12th century and originated from Northern and Central African regions. These people also brought some useful skills like cultivation, weaving, etc. some of the empires that were active in the area at that time were the Songhai Empire, Mali Empire and the Kingdom of Koya. By the mid of 15th century, Europeans activities and interests increased in the region followed by the construction of trading posts and on the coastal regions. Along with trade, millions of native African were captured, forced into slavery and sent all over the world especially the American regions. By the start of the 19th century, the slave tradition was ending all over the world and the slave people (mostly African-American) were struggling for their freedom. Soon the slavery ended worldwide and the major powers including America, British, Spain and France abolished it. The free slaves in America thought that it would be better for them to migrate to Africa rather than to live in the USA and thousands of slaves migrated towards Liberia. 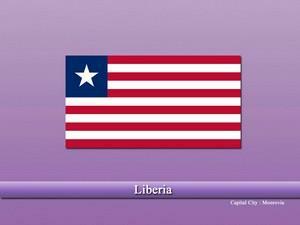 These people started their new life in Liberia and soon after the creation of the Republic (Liberia) in 1847. Also, Liberia became one of the first countries in the region to do so and is Africa’s oldest republic. During the “Scramble for Africa” surrounding countries of Liberia were colonized but Liberia retained its independence and it's internal/external interferes were not intervened. During World War 2, America invested in Liberia’s production capabilities to increase its war effort. This also improved infrastructure, transport and other sectors of Liberia. The geography of Liberia features plains and the fertile area near the coastal region and hills, mountains, forest and plateaus in the North and Northeastern regions. The highest point in the country is “at Mount Wuteve”. The country has blessed with all the natural resources but deforestation and illegal hunting are active in the area. This is also leading towards the rise in temperatures and the extinction of many species. Most of the endangered species still exist in the are but need protection for their survival. Although the country became independent in one of the earliest times, today the country is one of the underdeveloped, poorest and a country with massive foreign debt. The country did well before the country was hit by civil wars which destroyed much of its economy, infrastructure, and industries. Also, the country is blessed with all the natural resources including fertile lands, minerals, abundant water, and a suitable climate. Today Agriculture, services, and industries are the most dominant sectors. Mining also helps significantly as some of the rare minerals including diamonds are mined. Some of the major export goods of the country are cocoa, diamonds, rubber, coffee, sugar, and timber. Kpelle is the largest ethical group present in the country with numerous others including Bassa, Mano, Gio, and Kru. English is the official language of the country and also serves as lingua franca. Christianity is the dominant religion of the country and accounts for 85.6% of the total population followed by Islam that is followed by 12% of the total population.